PHILADELPHIA – Oct. 19, 2015 – Detroit Connect has introduced new features for its Virtual Technician™ remote diagnostic system to further improve integration and communications. A new portal will provide Detroit Connect users additional information about overall fleet health, as well as enable them to take a deeper dive into specific fault events communicated via Virtual Technician. The portal, available on all Freightliner® and Western Star® models specified with Detroit™ engines, will also allow users to view and archive Detroit Diesel Engine Control (DDEC) reports, which use diagnostics to further analyze driver and vehicle performance. The portal, which will serve as the access point for all services offered by Detroit Connect, will also include options for communications, reporting and subscription management customization. Detroit Connect is piloting the portal with select customers beginning now, through early 2016, with an anticipated rollout to all customers by spring 2016. “Every customer has different concerns and ways of analyzing and acting on fault information, so we developed the portal to specifically make the fault information as manageable and consumable for every priority,” said Pfaffenbach. In addition to the portal, DTNA is developing a new telematics platform that will be available on select truck models in 2017. The platform will have new connected vehicle communications hardware that can be used globally. This will enable integration with third-party applications, and will reduce the need for additional hardware. The new telematics platform – which will utilize cellular service connectivity – will mark the introduction flash over the air capabilities, including remote vehicle parameter settings, remote downloading of DDEC reports, and remote flashing of firmware for electronic controllers. “Vehicle connectivity is going to continue to have a significant impact on how customers do business, and DTNA will continue to push the envelope to be part of that evolution,” said Pfaffenbach. For more information go to www.DetroitConnect.com. 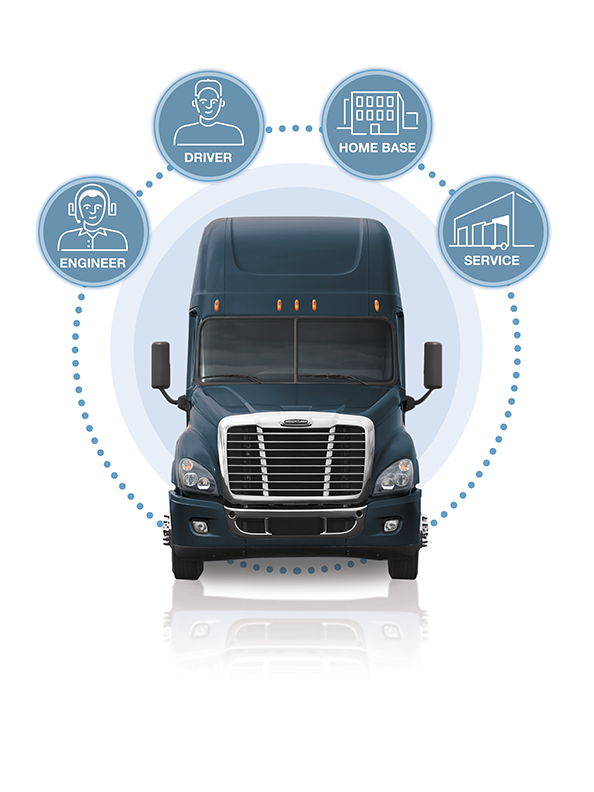 Detroit Connect is Daimler Trucks North America’s integrated OEM connected vehicle solution designed to unlock the power of vehicle data, maximizing uptime and lowering fleets’ cost of ownership. Virtual Technician™ onboard diagnostic system, its proprietary technology, provides an essential link between the vehicle and fleet to improve truck performance, helping drivers and fleets to make informed service decisions. Detroit Connect is a brand of Daimler Trucks North America.